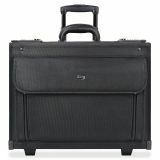 Solo Classic Catalog Carrying Case - Rolling Computer Catalog Case holds most 15.4" screen laptops in the padded interior laptop pocket. 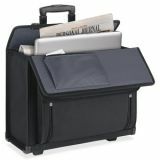 Zip-down organizer with two-section accordion fan file, disk pockets, business/credit card slots, and pen loops offers quick access to essentials. Interior compartment offers an accessory pouch, divider panel and business card holder. Interior lid includes a zippered pocket, pen loops, with ample room for files. You can secure your documents and belongings with dual combination locks. 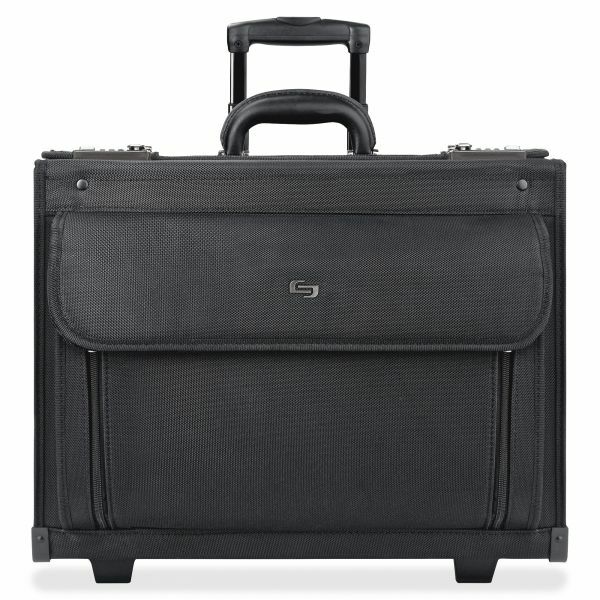 Catalog case also has a telescoping handle, in-line skate wheels for easy mobility and Ballistic poly construction for durability.